In the hop for the second month in a row! This is a record for me. Did you arrive from Jemma from Just JimJams? If not you may want to go to CKC blog to start at the beginning. The colour and textures in this mood board was to drive our creativity. 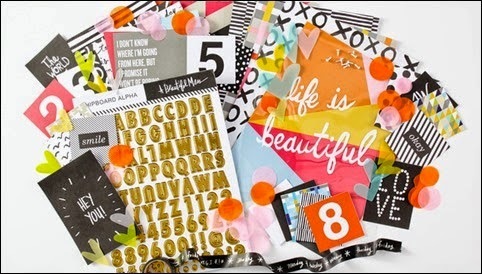 At the same time I want to stay true to the graphic simplicity of Messy Box, the inspiration kit this month. That is also chimes in for challenge #3 Spring Challenge was serendipitous. I don't use purple in scrapping very often. In fact, I think my current usage is one layout with purple, per year. Love my new butterfly punch. Love my lilacs. They will be giving another splendorous show in about 6 weeks. Great collage of large pix and layered pp's, is your butterfly punch from Martha? I always forget to use mine, thanks for reminding me how pretty they are! What a great mix of graphic patterns and elements to go with your organic photos - I like it! Pretty page. Love the lilacs, the dainty dimensional butterflies and the lattice border! I think the purple was absolutely necessary for your lilac page -- glad you squeezed it in! Love the crossing on the left! Beautiful layout. Your kit looks awesome too! I love how you blended the two! Those gorgeous butterflies were key in making it all work together I think! Lovely job! SWOON over the burgeoning lilacs - I too am looking forward to mine with great anticipation.The butterflies are awesome - you will love having that punch! I am lifting something from this page & will let you know when it is done :D Thanks for the inspiration! Love your page especially the butterflies. Your photos are gorgeous! 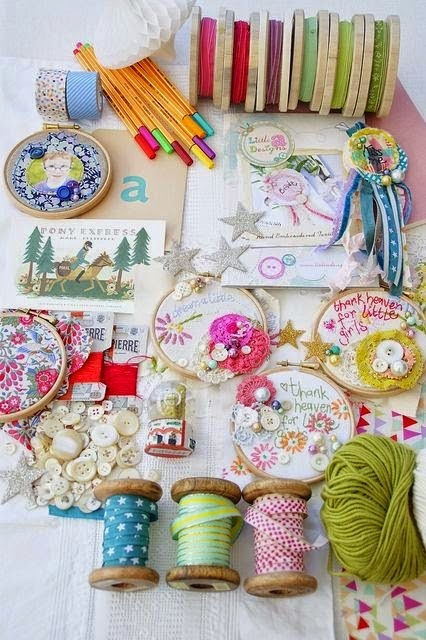 Your layout showcases those lovely lilacs and the butterflies are a very sweet embellishment! Lilacs are my favorite flower and I'm looking forward to seeing ours bloom soon too. So pretty! I love your butterflies too. wow, two hops in a row and two challenges in one! Wonderful spring layout and the double butterflies with the brad. The lilacs are so very beautiful, no wonder you are waiting with anticipation over there after your long winter. Thanks for joining the hop and a double thank you for playing along with my spring mood board!